Two new trailers have been released today for Super Mario Odyssey, the new game starring Mario launching this week in all regions exclusively on Nintendo Switch. The two new trailer, both 30 seconds long, showcasing platforming and Cappyìs abilities, among other things such as locations and enemies. 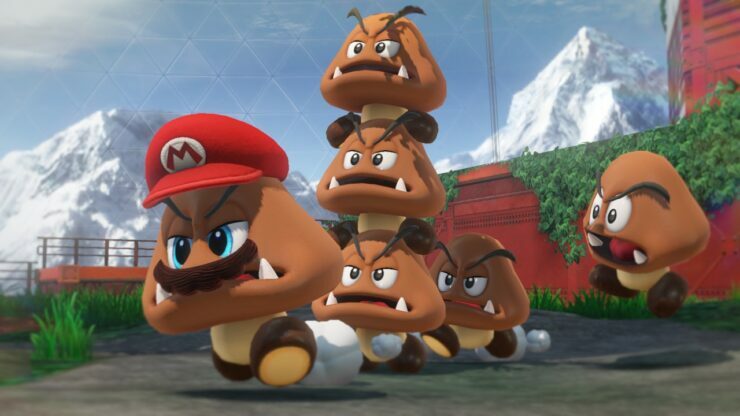 Last week, more Super Mario Odyssey footage emerged online, showcasing how it’s possible to obtain 22 Moons in the game’s GameStop demo in less than 10 minutes. Once the full game is out, we should expect even more impressive speedruns emerge online. Earlier this month, the first Super Mario Odyssey review emerged online. Edge Magazine awarded the game a perfect 10/10 score, noting how the game is a true reinvention of the sandbox platform genre. Super Mario Odyssey launches next week, on October 27th, in all regions exclusively on Nintendo Switch. We will keep you updated on the game as soon as more come in on it, so stay tuned for all the latest news.